Destruction of Hurricane Irma in Sint Maarten. Most concrete buildings sustained minimal damage while most wooden houses were destroyed. ©PEARL, 2018. Recovering from the devastation of a Category 5 hurricane can be a challenge for any nation, but the cultural make up of Sint Maarten—the Dutch portion of the island known as Saint Martin—poses special challenges. After Hurricane Irma struck the island in September 2017, our team went on a fact finding mission and learned that there were improvements to be made in how warnings were issued, how evacuations were conducted, and how communities rebuilt after storms. Hurricane Irma, the strongest hurricane on record in the Atlantic basin outside of the Caribbean Sea and Gulf of Mexico, made landfall as a Category 5 hurricane on the island of Saint Martin on September 6, 2017. Irma’s strong wind was the primary cause of widespread devastation on the island, killing and injuring people and damaging properties and infrastructure. This, in turn, affected the tourism-led economy, as visits to the island declined and many lost their jobs. Since the storm, the government of Sint Maarten has engaged in a recovery and reconstruction program based on the United Nation’s premise of building back better, which addresses restoration of infrastructure and revitalization of livelihood and economies to make communities less vulnerable to future disasters and increase their resilience. To support the recovery and reconstruction, a team of researchers from the European Union-funded PEARL (Preparing for Extreme And Rare events in coastal regions) project went on a fact-finding mission to Sint Maarten. The team carried out workshops, interviews and household surveys five months after Irma’s landfall to assess hurricane warnings, evacuations, and people’s awareness and perception of hurricane impacts and responses after the hurricane. The PEARL team also applied novel methodologies and tools such as a vulnerability index method, a risk root cause analysis method, agent-based modelling tools and traffic model to assess hazard and risk to support the reconstruction and recovery, and make Sint Maarten more resilient. This article focuses on the findings and recommendations of three elements of the mission: hurricane warnings, evacuation behavior, and rebuilding. About 70 percent of Sint Maarten residents are foreign-born. We found that the diverse, multi-lingual nature of the island—which is a source of vibrant multi-culturalism—can also be a source of vulnerability in hurricanes. English is the main language and hurricane warnings and evacuation plans are disseminated in this language. But some Spanish- and French-speaking immigrant communities, which constitute more than 20 percent of the total population, did not properly understand warning and evacuation information about Irma. Additionally, many find the official public advisories issued by the Sint Maarten Meteorological Agency difficult to understand. To reach all residents at risk, the government should improve warning messages by conveying reliable message in time and using multiple languages. It is crucial to communicate advisories in a plain, easy-to-understand way. Comparing forecasted hurricanes with previous big events will give residents a better perspective and encourage preparedness. In addition, hurricane awareness programs need to be continually in place so people are prepared to take appropriate action. In Sint Maarten, in most cases, the majority of residents do not evacuate during hurricanes. A household survey we conducted of 255 respondents found only about 30 percent evacuated for Hurricane Irma. Of those, most sought shelter in a friend’s or relative’s home and only three percent evacuated to public shelters. The low percentage of evacuation, especially to public shelters, is because people do not trust the safety of public shelters. Sister Marie-Laurence School was one of the official shelters for the 2017 hurricane season in Sint Maarten. Fifteen evacuees sheltered in the school were evacuated during Hurricane Irma when the roof collapsed. ©PEARL, 2018. As shown in the photo to the right, shelters with zinc roofs were destroyed by hurricanes, creating fear about the safety of public shelters. Hence, people prefer to shelter with friends or relatives instead. This leaves some immigrants, who might have limited social networks and low levels of social capital, at a disadvantage if they can’t find friends or relatives to provide better shelter during hurricanes. The other reason for the low evacuation rates to shelters was likely because it was announced that public shelters would be open only after Irma passed. A last-minute order was issued to open some public shelters, but it did not reach the broader population of the island. The household survey findings also show that, after the experience of Irma, there was an increase in willingness to evacuate commensurate with the severity of the hurricane. The number of people who expressed a definite willingness to evacuate if a hurricane as strong as Irma is forecasted was greater than those that definitely would not evacuate. Though many might still seek shelter with friends or relatives, the government needs to improve the safety of public shelters, especially considering those in need. Since most people consider concrete houses to be the safest in Sint Maarten, the walls and roofs of public shelters should be reinforced with concrete. Based on the household survey, about 80 percent of residential buildings have concrete walls and about 70 percent have zinc roofs. Most residents agreed that it was the zinc roofs, debris from poorly built housing, and the other loose objects blown about during the hurricane that caused damage to the stronger houses. Poorly built housing on the island are associated with outdated and inadequate building codes, lack of inspections, and enforcement of existing regulations. We’ve seen people rebuilding destroyed houses already, but there is no inspection requirement if they are building resilient structures designed to withstand future hurricanes of Irma’s magnitude. To reduce future damage, the government needs to improve building regulations, inspect new construction, and strictly enforce standards. Furthermore, just because a building has withstood one hurricane doesn’t guarantee it will withstand the next. Hence, residents should learn to maintain their houses after every hurricane. Though Irma’s destruction is associated with the strong winds, rebuilding should also consider flood hazards that can occur in future hurricanes or isolated storms. Considering the magnitude of destruction of Irma in Sint Maarten, the recovery and reconstruction will take years. Currently, the main focus of the government is repairing damaged public shelters and roofs of poor housings, and rebuilding critical infrastructures such as the airport and hospital. In this process, we are working closely with the Sint Maarten Government and we presented a report describing the outcomes of the fact-finding and needs assessment mission. 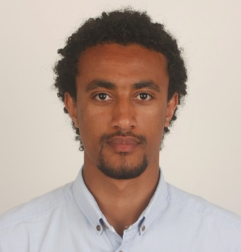 Yared Abayneh Abebe is a PhD researcher in Urban Water Systems at IHE Delft Institute for Water Education. His research focuses on conceptualizing and modeling drivers of urban flood hazard, exposure, vulnerability, and risk taking into account flood disasters as results of the complex interactions of natural and human systems and the urban environment. He is also interested in institutional analysis and the use of agent-based models in modeling long-term disaster risk management. Neiler Medina Peña is a PhD researcher in Urban Water Systems at IHE Delft Institute for Water Education. His research focuses on risk assessment of extreme hydro-meteorological events by incorporating the role of human behavior and crowd modelling in the vulnerability and exposure components of risk. He is currently working on an agent-based model approach for large city evacuation strategies. Zoran Vojinovic is associate professor at IHE Delft with expertise in Urban Water Systems, Risk Assessment, Climate Change Adaptation and Hydroinformatics. He is the author/co-author of book series in Urban Hydroinformatics. Vojinovic holds honorary professor position at the University of Exeter, and is a visiting professor at the Technical University of Munich, adjunct professor at the National Cheng Kung University, visiting professor at the University of Belgrade and guest faculty at the Asian Institute of Technology. Abebe, Yared Abayneh, Neiler Medina Peña, and Zoran Vojinovic. 2018. “Strengthening Sint Maarten: Lessons Learned after Hurricane Irma.” Research Counts 2(12). Boulder, CO: Natural Hazards Center, University of Colorado Boulder. https://hazards.colorado.edu/news/research-counts/strengthening-sint-maarten-lessons-learned-after-hurricane-irma.